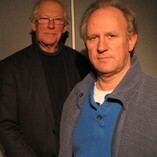 Big Finish has announced details for the Fifth Doctor main range trilogy for 2013, which will be released April – June. The article leads with the news of the return of Eldrad from The Hand of Fear and Stephen Thorne returns to the role he last played in 1976. That was of course with the Fourth Doctor. June – Prisoners of Fate: a Jonathan Morris story that closes the loop back to Cobwebs (also by Jonathan Morris). Remember that Nyssa is 50 years older than when she left in Terminus and her past catches up with her on a prison planet with ‘heartbreaking consequences’. I’m looking forward to all of these, and most of all the June release to understand the secrets of Nyssa’s life since she first left. Haven’t yet tried this string of audios. Don’t really like the idea of Nyssa having recently left, and then the impact of her departure being ruined by having the crew traveling with her when she’s older. I didn’t really consider that when I listened to cobwebs – I think it works and is a narrative thread that I believe Jonathan Morris pulls on in the last of this trilogy. In 2012’s Emerald Tiger Nyssa managed to get made to look younger – just to confuse those she left behind!